from the conventional to the unique (hand poke). Times they are a changin'. 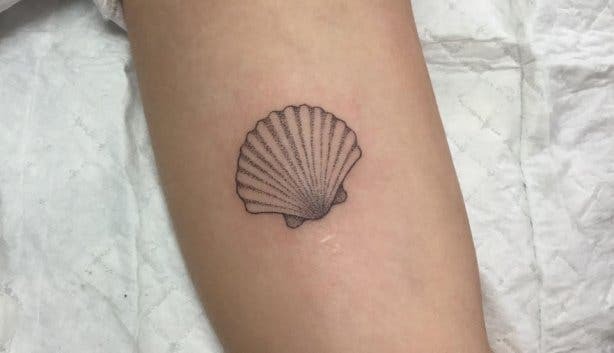 As early as a decade ago, anyone with a tattoo might’ve shared their frustration that people held certain perceptions about them because of their body art. They might have felt they had to cover up their pieces, however small, for job interviews or when visiting family. Some conservative communities might still maintain this approach, but for the general populous, tattoos have become a kind of accessory. Tattoos have moved from being a form of vulgar body modification reserved for criminals and social deviants to become a unique showpiece of self-expression. Whether a constellation of stars cascading down your back, an anchor on your left peck, a dragon stencil along your hip bone, a stick figure in between your index and middle finger – or anything else for that matter – your tattoo is for you, and you alone, to decide and to enjoy. 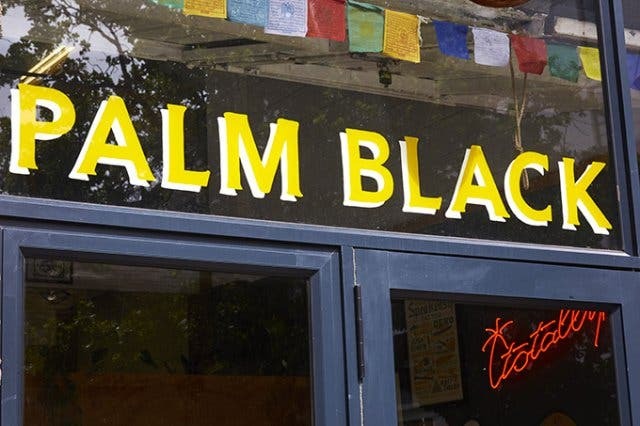 Working to chip away at the already changing perception around body art, Palm Black Tattoo Co., found just off Roeland Street in the city centre, is a mellow tattoo studio. “Not a lot of people like the intensity of walking into a tattoo shop. It was always important to me to create a place a little softer and approachable,” owner Raoul Goetze says. The ink-laden tattoo artist is absolutely right. With acoustic music crooning through the open-plan studio and a scatter of low light houseplants breathing life into the space, you’ll feel right at home from the moment you walk through the door. 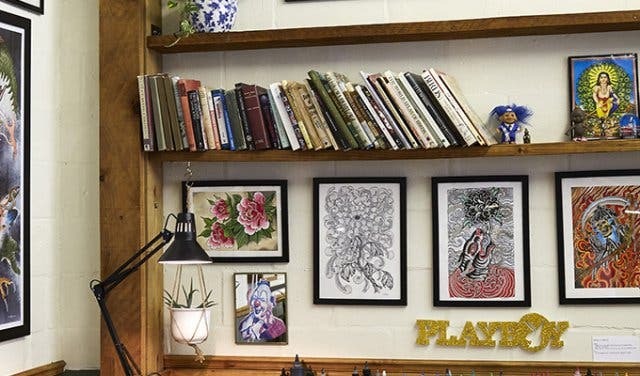 The tattoo artists at Palm Black Tattoo Co. are as talented as they are down-to-earth. David Chaston, Ninja Bread Boy, Wesley von Blerk and Raoul make up this brood of creatives who are passionate about their craft. 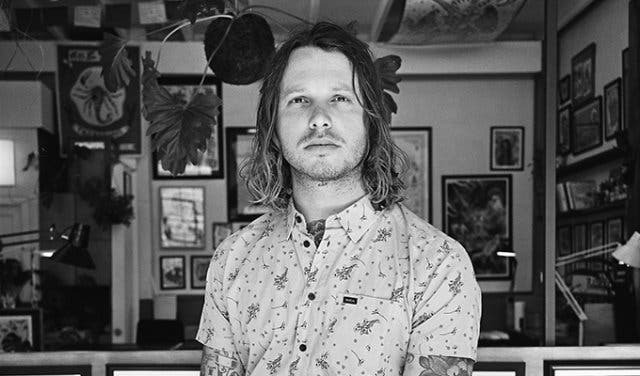 The gang come from all walks of life: David has been tattooing willing bodies for 11 years. He began his career as an apprentice at Wildfire Tattoos on Long Street (so did Raoul for that matter). Richard studied illustration and pursued a career in advertising. 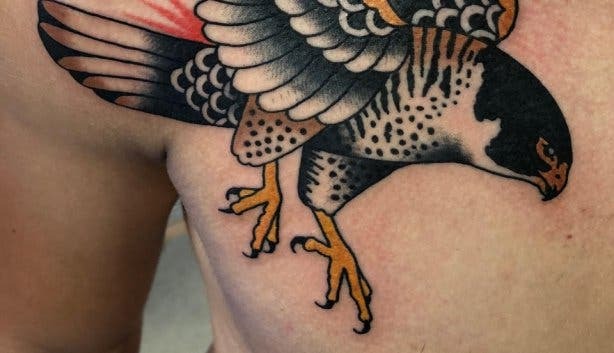 The hand poke artists would tattoo friends for fun when Raoul invited him to explore his adeptness for tattooing at Palm Black on a part-time basis. “One day a week turned into two days a week, turned into three days until it became an everyday thing,” Richard admits. Wesley got his first tattoo at the ripe age of 16. The Durbanite shares that he “never had plans to become a tattoo artist but [I] was always passionate about tattoos.” Raoul, the ringleader who managed to organise the artists into the natural, authentic and organic space, studied graphic design, sound engineering and multimedia design before deciding to make the change to tattoo artistry. 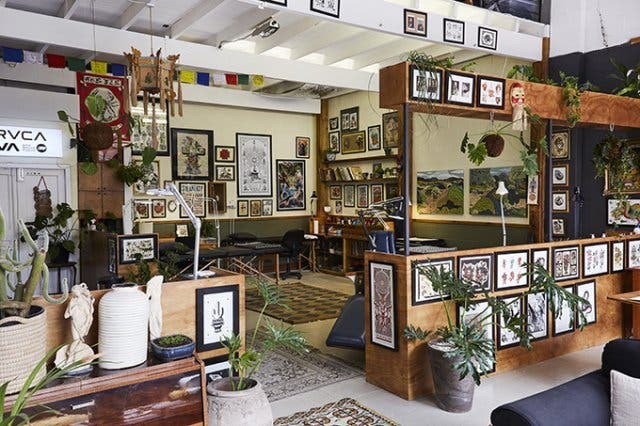 Chatting to the easy-going guys you get a sense that the tattoo artists turned their passion into a profession which conjures up the saying: If you love what you do you’ll never work a day in your life. If you can conceive it, these tattoo artists will aspire to help you achieve it. 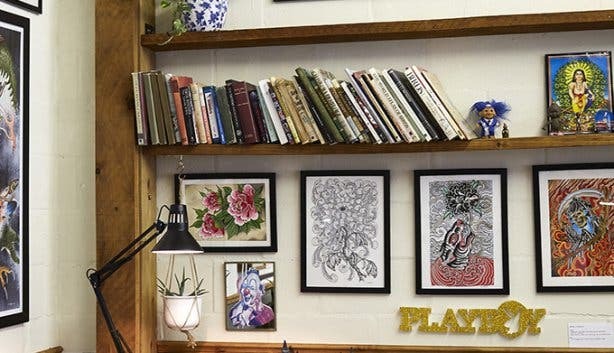 The four tattooists have varying tastes, styles and preferences which lends itself to the diverse clientele that float through the door. 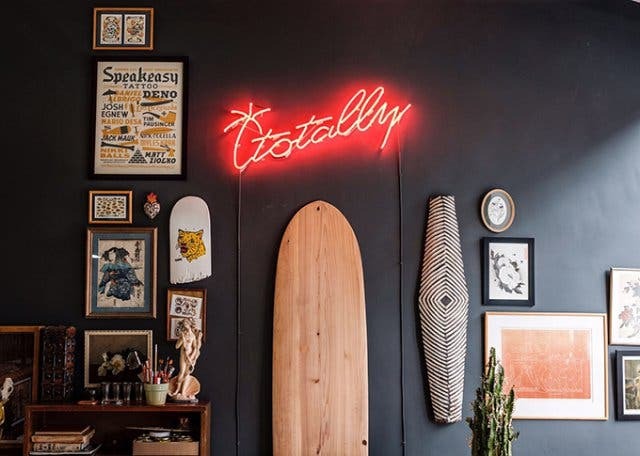 Raoul’s assertion that, “I might think it’s weird, though the client thinks it’s rad,” proves that these laid-back guys are all about having fun, trying new things and affording others to do the same. 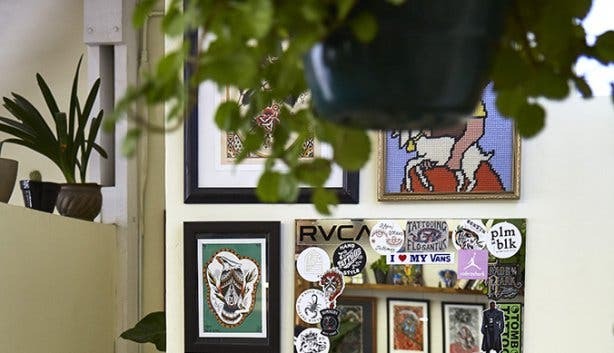 “I think it’s important to keep your eyes open and be receptive to being inspired by different artists and different things,” the tattoo studio owner shares. And this ethos is echoed by the entire team. Nothing you ever suggest will be too outrageous or too commercial for these guys; they’ve heard and seen it all interpreted in different ways. 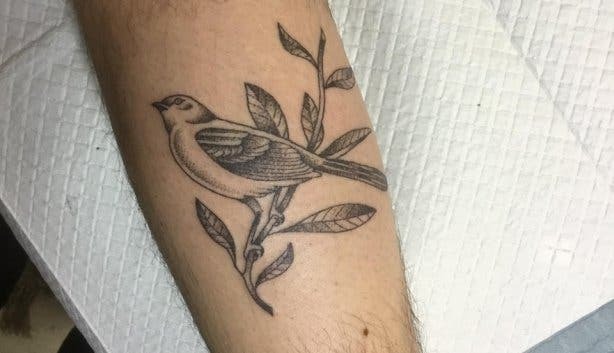 “It always amazes me when I think we’ve reached all the clientele we could possibly appeal to, then new people from all over the place decide to come in for a tattoo,” Raoul (below) shares. 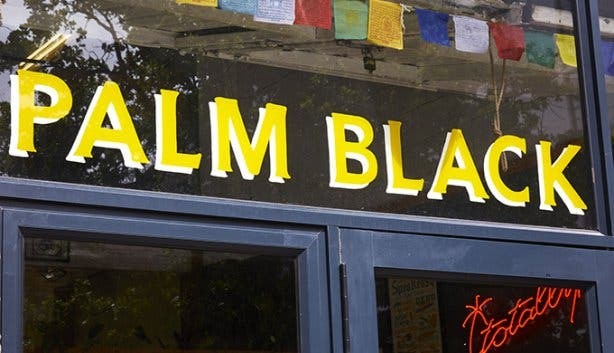 Palm Black will continue to grow, evolve with time as well as asset local and international trends themselves. Tip: Palm Black Trading Co. offers the option to get your tattoo done using the hand poke method. This interesting alternative is ideal for smaller pieces and/or designs that have a lot of detail. 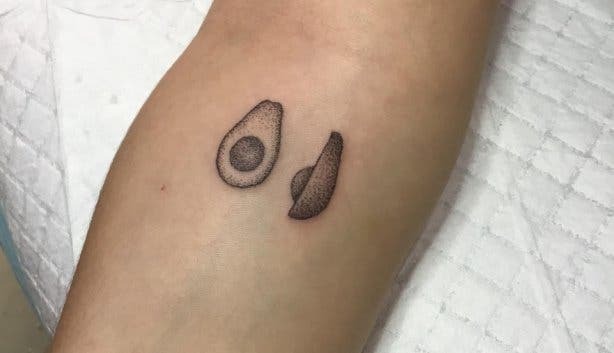 The nature of handpoke isn’t as harsh on the skin and the recovery time is generally shorter. The Bill: Price varies depending on size and design. Raoul insists that “no good tattoo is cheap and no cheap tattoo is good.” If you’re going to go bargain hunting rather than investing in a quality tattoo then you’ll get what you pay for. Interested in learning more about the exciting hand poke method? Read about it here.